When You’re Ready To Make A Quantum Leap In Your Business, Group Coaching Or One-On-One Consulting Will Get You There. With either option, you get expert knowledge and powerful, proven strategies and tactics designed to help you take your business to the next level. Group coaching is a year’s worth of steady, ongoing education and guidance in a group setting, whereas consulting is a one-on-one jumpstart designed to yield immediate results. If you’re here, it’s because you’re ready to experience greater results in your business. You realize that your current skill set is good, but that it isn’t “taking you to the next level” which is your ultimate dream. How many of the following statements are true for you? You are experiencing quite a bit of success … but you haven’t achieved that Sweet Spot yet … you’re not living your dream, but you know it is possible. You’re exhausted and wish you could find a way to work smarter, so you have more free time (and more income!). Although you’re earning a decent living, you know you could earn more … if only you had the right tools and systems in place. Your business is mostly a one-woman/man-show; that is, you are responsible for almost everything even though you may have a bookkeeper and an assistant, and you know your time would be better spent if you could focus exclusively on design. While you adore some of your clients, others are draining, and you’d LOVE to find a way to get more Ideal Clients who are fun and appreciate your skills. You have design training, but you never learned how to start or grow an effective business. You had one or two business courses in your program, but those courses didn’t teach you how to market, budget, read financial statements, build a team, etc. You’re constantly overwhelmed – not only are you doing almost everything (which is too much), but you often struggle to prioritize what must be done first, and what can wait because it all seems important. You’re constantly putting out fires and responding to everyone else’s priorities. You receive an endless stream of emails, text messages and phone calls, and you can’t seem to get to the most important work – the work that actually produces the financial results. You’re working late at night and on the weekends just to keep up and you’re missing important time with your friends and family – and downtime for yourself. You’ve taken various courses and read books, but nothing seems to apply directly to the business of interior design. Because you’ve realized that in order to take your business to the next level – a level that allows you to live your life precisely the way you want to – then you must do things differently. Correct? Strategic Business Transformation (SBT) is like a “Time Release” capsule. It is a 12-month skills training program with videos, tools, exercises and monthly live (phone) group coaching. This online coaching option works well if you are a busy design firm owner who wants the training, but needs access after-hours and on weekends to strategies and tactics that are specific to the interior design industry. This program is perfect for you if you want to learn over time and have access to materials that you can continuously review, and you’re not financially ready for a hands-on-with-an-expert, prescriptive consulting experience. 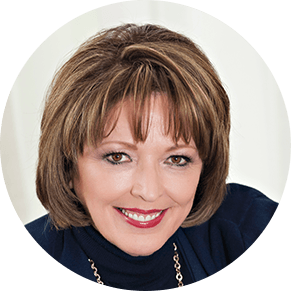 If you want a personalized “Immediate Gratification,” breakthrough with transformational Co-CEO support, you’ll want to check out Gail Doby’s VIP Day. This program was created by Gail in 2012 for her SBT coaching clients that wanted to do the deep work directly with Gail to finally work through their specific constraints with specific recommendations, proven strategies and proven tactics specific to their unique business. Gail’s VIP clients want immediate results and exact steps they can take the day they return to their business.